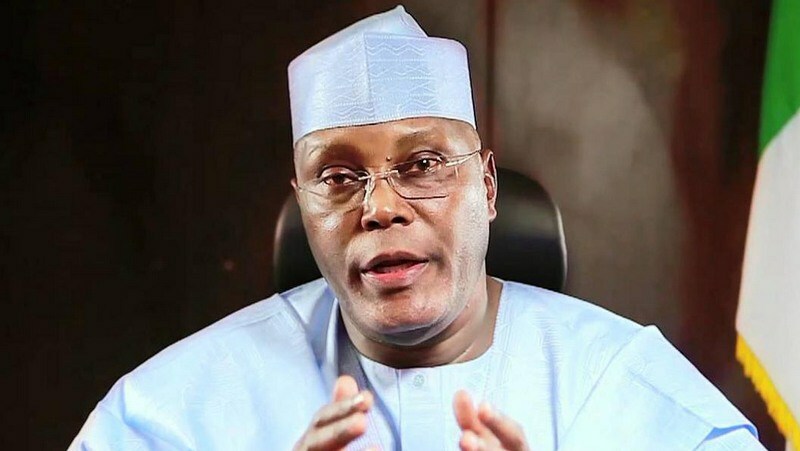 Former Vice President Atiku Abubakar has said he is prepared to go to the United States if the country’s diplomatic authorities approve his application for visa. 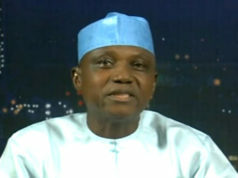 Mr Abubakar, vice president from 1999-2007, has not been able to travel to the U.S. since he left office. 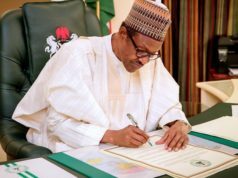 “If America says come today, I will board the flight and go there soonest,” Mr Abubakar told political columnist Dele Momodu. Mr Momodu has been interviewing potential presidential candidates in 2019 elections, and he spoke with Mr Abubakar earlier this week as part of the series. Mr Abubakar’s comment came less than two weeks after the former vice president debunked media reports he would be travelling to the U.S. based on an invitation from a U.S.-based African development think-tank. The debunked claims raised eyebrows because Mr Atiku’s apparent difficulty in entering the worlds most-powerful country has been of public knowledge for years. Critics of Mr Abubakar, who is now seen amongst favourites for the opposition Peoples Democratic Party’s presidential ticket, have accused him of being restricted from entering the U.S. on allegations of corruption. Top amongst the allegations against Mr Abubakar was about the broadband contract scandal involving Nigerian and American officials in the mid-2000s. Mr Abubakar was said to have received kickbacks for his role in helping an American firm, iGate, secure the contract to expand broadband in Nigeria. Williams Jefferson, an American politician who was a member of the U.S. Congress at the time, was convicted for his role in the contract fraud. Mr Jefferson was said to be an associate of Mr Abubakar, and it was reported that the infamous $100 cash that was found in Mr Jefferson’s refrigerator was intended as parts of the bribes to be paid out to Mr Abubakar. Mr Abubakar strongly denied ties to the fraud. He has never been convicted of any crime, and it remained unclear whether U.S. law enforcement authorities actually have incriminating dossiers to link him with sharp practices, either while in office or out of office. Mr Jefferson was convicted on 11 out of 16 counts of criminal charges filed against him in 2009 and sentenced to jail shortly thereafter. Prosecutors could not find Mr Jefferson guilty of allegations of bribing foreign officials, which meant that there was no evidence to link Mr Abubakar to the $100,000 bribe. Still, critics and political opponents of Mr Abubakar continue to accuse him of playing a role in the crime that sent Mr Jefferson to jail. They are also relying on the findings by the U.S. Senate, which investigated the matter and found in 2010 that Mr Abubakar had a case to answer. Mr Abubakar said Nigerian youth are being hoodwinked by the antics of his detractors, but acknowledged their boldness in challenging him over the U.S. visa baggage and other politically-toxic issues around his ambition. “But in my case, they have been lied to about Atiku and fed with a lot of propaganda,” he added. Mr Abubakar said he applied for visa at the U.S. Embassy but was not granted, repeating a claim he made when he sat down with Mr Momodu in a previous interview last December. “I applied to America for visa which was not granted. A man who is afraid of being arrested won’t go near the American Embassy, it is simple logic,” Mr Abubakar said. The U.S. Embassy in Abuja often declines comments about the controversy as a matter of policy. Mr Atiku again played down his failure to visit the U.S. as inconsequential to his presidential ambition, saying the Nigerian Constitution does not require ability to travel to the U.S. for a Nigerian to be eligible for office. “If America says come today, I will board the flight and go there soonest. Perhaps, America was fed with lies about me. It is normal in politics. The Indian and Kenyan leaders could not visit America at a time. America is not like Nigeria where we convict people on the pages of newspapers,” Mr Atiku said. While Mr Abubakar has not been about to travel to the U.S., he managed to sell off his multi-million dollar home there. The top politician, however, denied that the sale had anything to do with any sharp practices or his politics, saying the property was sold because it was no longer serving any purpose for his family. Mr Abubakar also addressed claims that he is seen as corrupt by many, an issue that analysts expects would feature prominently in the campaign should he get the PDP ticket.